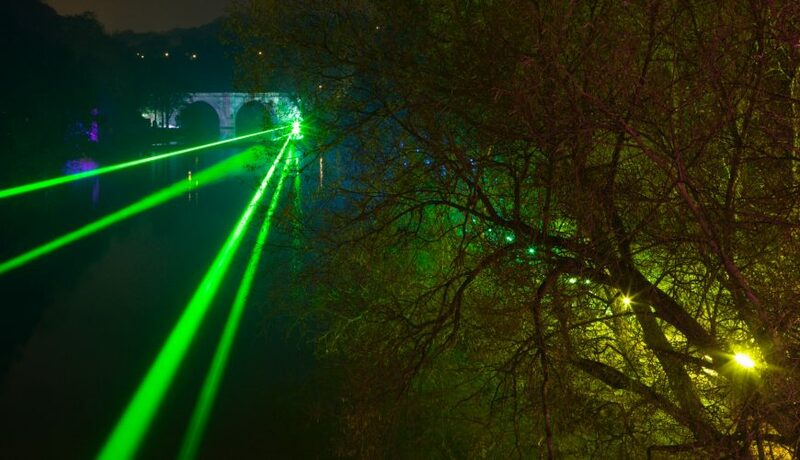 The riverbanks, weirs and bridges along the River Wear provided the backdrop for an ambitious installation which played with perceptions of space. Creatmosphere’s site-specific installations encourage audiences to reconsider the spaces around them. 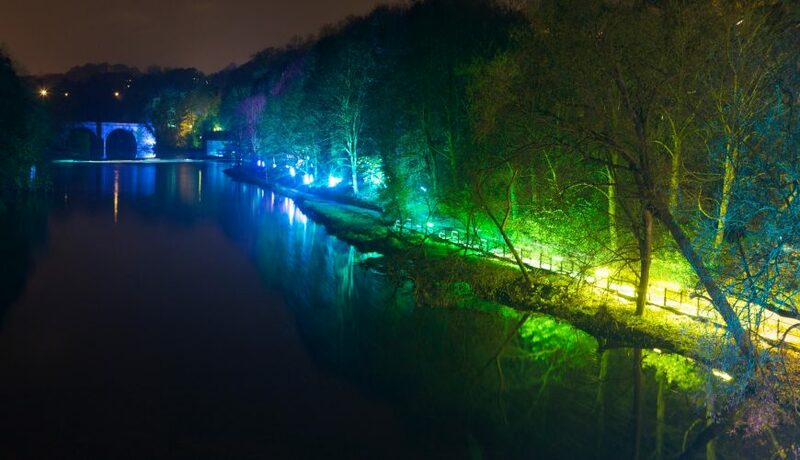 For Lumiere Durham, a familiar stretch of river was transformed into a magical landscape. Creatmosphere is a London-based cross-genre artistic studio that focuses on the exploration of light and its interplay with art, architecture and space. 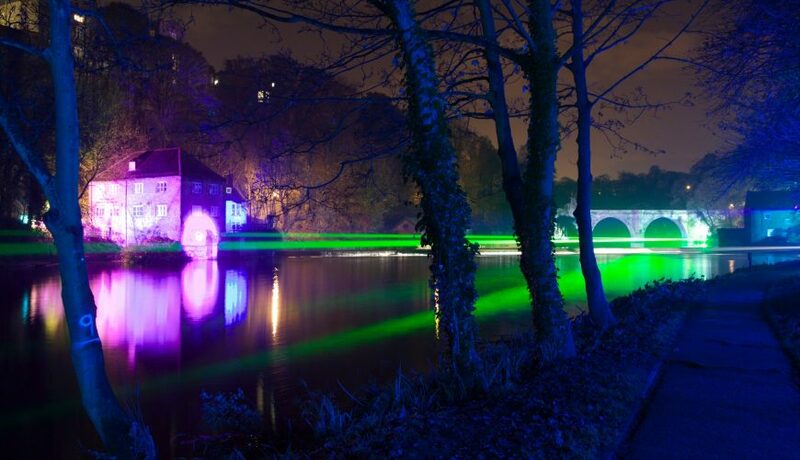 The work encompasses all aspects of light art, including permanent installations, temporary interventions, interactive projects and bespoke fabrications. All projects share the goal of positively transforming the spaces they investigate. 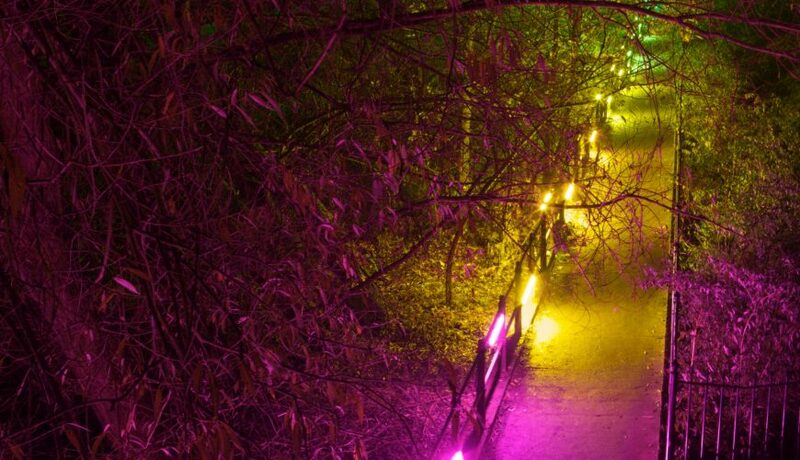 Whether the aim is to entertain, inform, communicate, guide or even to simply encourage play,their work revolves entirely around the people who use the spaces they work on, and how their experiences can be enhanced through the use of light and technology. Their projects aim to utilise technology in as progressive and environmentally friendly method as possible. Better light, less power. 'Flux' by Creatmosphere for 'Lumiere'. Produced by Artichoke in Durham, 2009. Photo copyright Matthew Andrews.